Beloony is a very young brand of clothing and accessories. Its date of born is the second half of 2013 and its philosophy is really precise and clear: to be always outside the lines! Be Be Loony means to see the world in color with all its nuances and different patterns but mostly it always means being proud of their own folly and what makes us unique and special. A brand that has made of the difference in each of us a real way to express pride and character with its own personality. In a world of shades of gray and people who take themselves too seriously without having the courage to play and have fun with colors, Beloony is imposed to assert their individuality and to see colors in their lives and the world around us. Definitely a new, young, different, charming and with a vision of vintage with a modern twist brand. 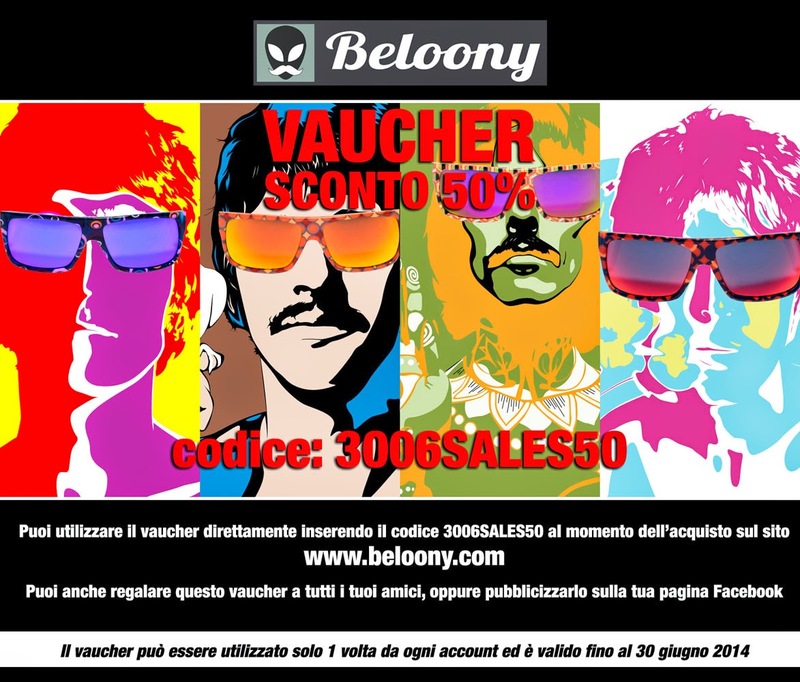 Beloony is really a small and young jewel of Made in Italy and its many sales, resulting from the Shop ON-LINE with FREE shipping worldwide, are further confirmation. The first collection is inspired by the world of wallpaper of the '60s and '70s, reinterpreted in an ironic and alternative way. One "Be Loony" way to show character, personality, freedom and desire to play. 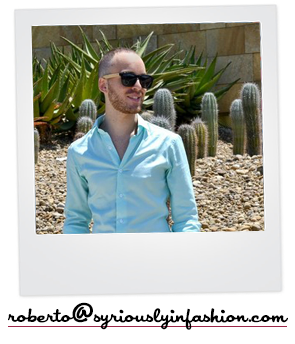 The fabric of the shirts is 100% cotton and they are produced entirely in Italy, as well as the sunglasses too! Everything is Made in Italy! I have had the opportunity to test the products and here are my choices (soon will arrive Outfit post too! )Do you like them? Beloony è un marchio di abbigliamento ed accessori davvero molto giovane. La sua nascita risale alla seconda metà del 2013 e la sua filosofia è davvero precisa e ben delineata: essere sempre fuori dalle righe! Essere Be Loony significa vedere il mondo a colori con tutte le sue sfumature e diverse fantasie ma soprattutto significa sempre essere orgogliosi della propria follia e di ciò che ci rende unici e speciali. Un marchio che ha fatto della diversità di ciascuno di noi un vero e proprio modo di manifestare con orgoglio e carattere la propria personalità. In un mondo fatto di tonalità di grigio e di gente che si prende eccessivamente sul serio senza aver il coraggio di giocare e divertirsi con i colori, Beloony s'impone per affermare la propria individualità e per vedere a colori la propria vita ed il mondo che ci circonda. Un marchio sicuramente nuovo, giovane, differente, affascinante e con una visione Vintage rivisitata in chiave moderna. Beloony è davvero un piccolo e giovanissimo gioiello del Made in Italy e le sue numerose vendite, derivanti dallo Shop ON-LINE con spedizione GRATUITA in tutto il mondo, sono un'ulteriore conferma. La prima collezione si ispira al mondo dei Wallpaper degli anni '60 e '70 reinterpretati in chiave ironica ed alternativa. Un modo tutto "Be Loony" per dimostrare carattere, personalità, libertà e voglia di giocare. I tessuti delle camicie sono 100% cotone e sono prodotte interamente in italia, così come anche gli occhiali, robusti, resistenti ed in tinta con le fantasie delle camicie sono totalmente Made in Italy! Love your post! love those colors! I must go to check that web! I didn't know your blog and I'm staying! Belle le fantasie che hai scelto; certo ci vuole personalità per indossarle e direi che è il tuo caso. I love the color sooo much! Che stampe e colori fantastici! Fuori dalle righe davvero! ♡ C.
Woow, queste stampe mi colpiscono parecchio! poi i colori sono belli e vivacii! Ti ci Vedo Proprio Rob!!! bellissime! Che bello, tutto molto colorato! :D Adoro i sunnies! Amo il mix del blue e l'arancio! Che belle queste camice coloratissime! fanno molto stile Hawaii! 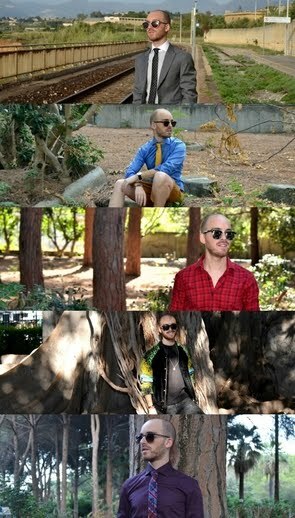 Occhiali e camicia in pendant? SPETTACOLO! Che colori, voglia d'estate!! Che meraviglia di colori, perfetti per la stagione!